Care for PICC catheters being used as Tunneled catheters? 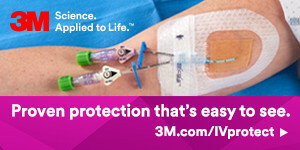 A catheter labeled as a PICC can easily be placed with a short subcutaneous tunnel. This is more prevalent in IJ insertions in patients with actual or impending renal failure. The reason is to avoid passing a catheter through the subclavian vein and the subsequent risk of vein thrombosis. The difference is that these PICCs do not have a subcutaneous cuff, so there is nothing to anchor them or prevent infection other than your stabilization device and dressings. So I would say these require the same level of care as any other PICC. There are no recommendations for the maximum length of dwell for any central venous catheter, so they should be removed when no longer medically needed or when there is a complication. Since there is no subq cuff, they are usually removed by just pulling them out and do not require dissection of the cuff. So this can be done by a competent nurse. A tunneled PICC would be an adequate name in my opinion so as not to confuse them with a tunneled cuffed catheter.